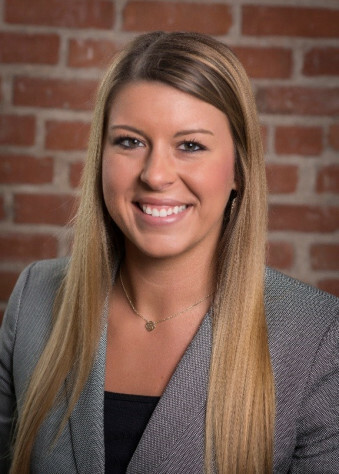 Katie Paschal is new Destination Servicing Director at the Bryan College Station Convention and Visitors Bureau. As a Texas A&M grad, she jumped at the opportunity to stay Aggieland. She now helps the CVB provide top-notch customer service to visitors and makes sure that guests experience the camaraderie that Aggieland is known for. Here is a little about Katie. Give her a call for any servicing needs or assistance during your stay in BCS. 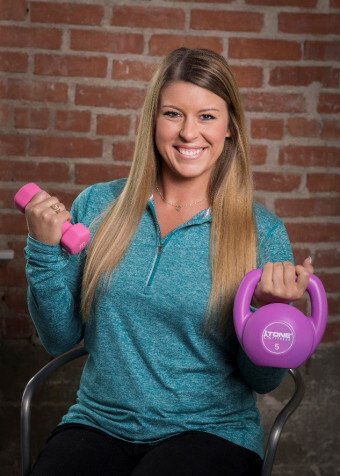 Who is Katie Paschal (where are you from, college, major, any other background info)? I was born in Houston, Texas, and grew up there until my family and I moved to Brenham when I was in 8th grade. I graduated from Brenham High School in 2012. I lived at home my freshman year of college and attended Blinn in Brenham. I transferred to Texas A&M my sophomore year, and recently graduated in May with a degree in Agribusiness. I worked part-time for the CVB for about a month until I graduated and started working full-time. What do you enjoy about Bryan College Station, Texas? My favorite part about Bryan College Station is the hospitality here. BCS is rapidly growing, but the friendliness amongst members of the community remains the same no matter how large it becomes. I knew I wanted to stay here once I attended Texas A&M because I loved the welcoming environment so much. Favorite memories from Texas A&M University? 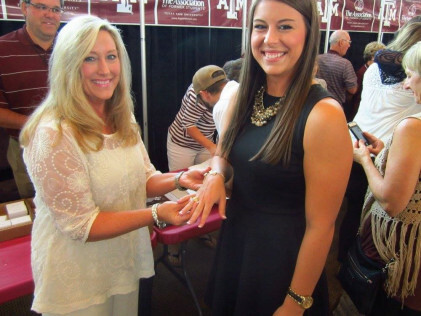 One of my favorite memories from Texas A&M was when I received my Aggie Ring. My mom was the one who placed my Aggie Ring on my finger (we both tried to hold back tears – of joy of course!). I am the first Texas A&M graduate in my family. The Aggie Network is so remarkable and it exemplifies the power of the Aggie Ring. Later that evening, I had my ring dunk with my roommates at our house. It was such a fun day celebrating with family and friends. My first Midnight Yell was on September 13, 2013, which was the night before the Alabama game. Drake was supposed to come that night as well, but he didn’t show up. However, it didn’t put a damper on the night because when 40,000 Aggies yelled the Aggie War Hymn at the top of their lungs, everyone had forgotten about his supposed appearance. It was amazing to see the spirit of Aggieland come together. It was an eye-opening experience and something that will always stick out in my mind from my time at Texas A&M. My mom and I when I received my Aggie Ring! What do you think is the most meaningful part of your job? I reach out to groups that will be coming to Bryan College Station and assist them with services we provide. We want to make sure groups have great experiences and return in the near future to Bryan College Station. Servicing is important because you are finding ways to go the extra mile in welcoming visitors and providing great hospitality which makes an impact on them. During my off time I love to workout as much as I can. I recently joined CrossFit in College Station and absolutely love it! I did CrossFit two years ago in Brenham for the summer, but when I returned to College Station, I just went to the TAMU Student Recreation Center for the rest of school. CrossFit pushes me outside of my comfort zone to do workouts I normally wouldn’t even consider trying by myself in the gym. Working in the tourism industry, where would you love to go? I have always wanted to go to Hawaii. I have heard it is absolutely beautiful and the weather is perfect. It would also be neat to get a sense of Hawaii’s culture and just be able to see the sheer beauty of the islands. There is so much to do and see. The beaches are some of the best in the world. – My favorite store is Lululemon Athletica. Luckily we just got one.